Just come back from V Festival? Still reminiscing about Coachella, Glastonbury, Parklife and all the other big ones? Festival season is coming to an end but that doesn’t mean we can’t relive it with our wardrobe. The outfit of the day is inspired by festival fashion – a look you can take from day to night. 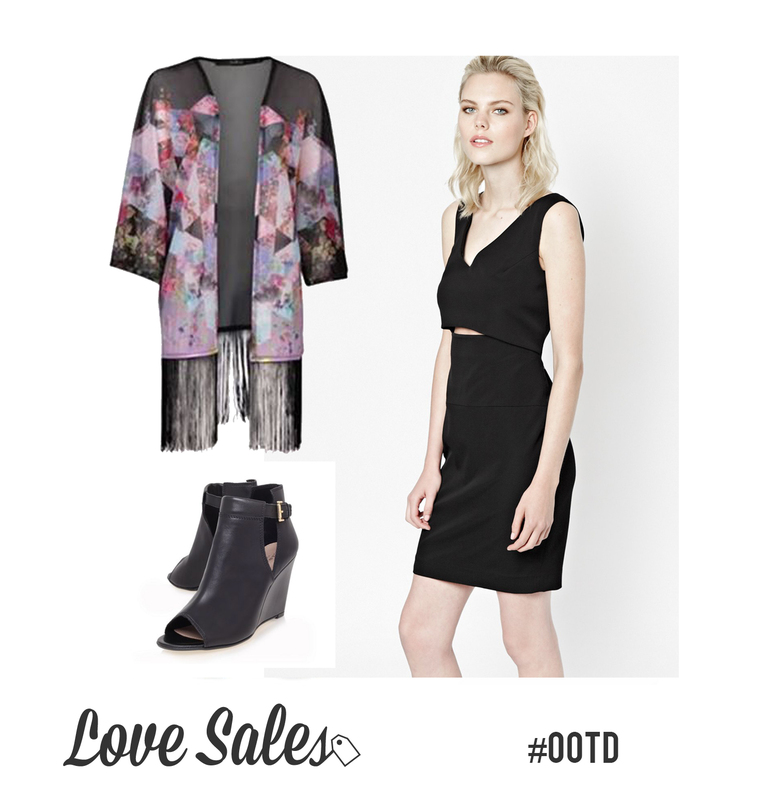 By teaming a classic LBD with a kimono, the look is simple yet quirky with the fringe detail and stand out pattern. The cut-out detail of the ankle boots accentuates the detailing of the dress making this a perfect combo! The glamour stretch sleeveless LBD is from French Connection. 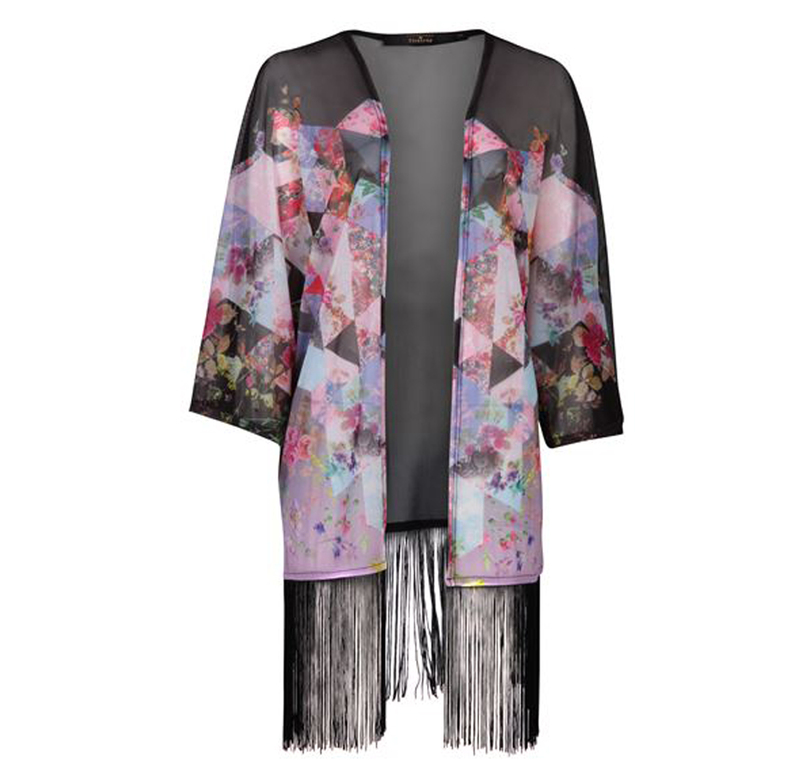 The Rock and Rags fringe kimono is from USC. 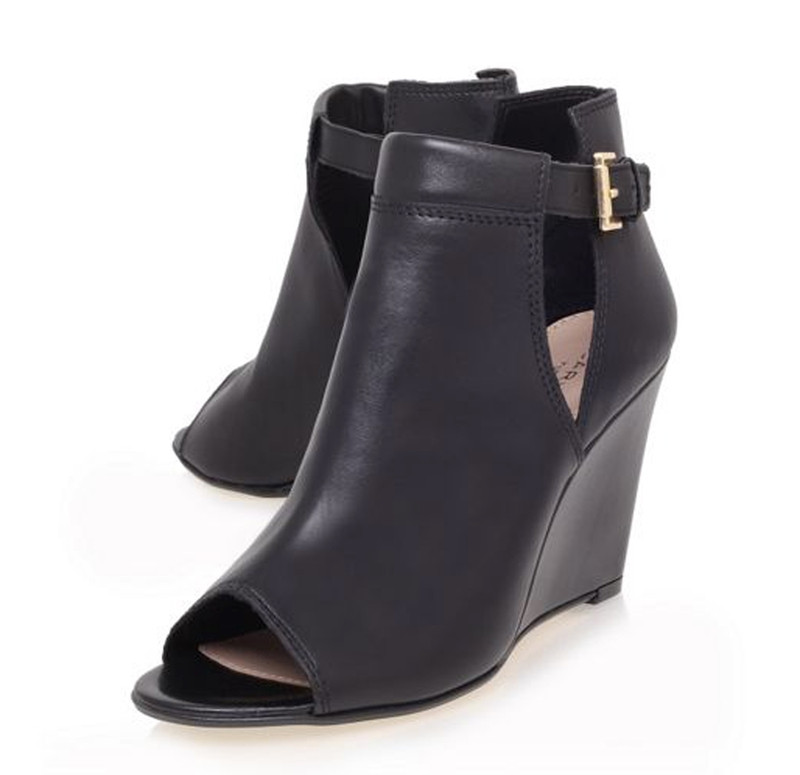 The Carvela high heel ankle boots are from House of Fraser. Dress up the festival look and look stylish from day to night. Add your favourite festival styles to your LoveSales list and create your own outfit of the day. This entry was posted in OOTD and tagged boots, cutout, dress, FCUK, Festival, festivalfashion, FrenchConnection, houseoffraser, Kimono, LBD, OOTD, outfitoftheday, USC, Vfestival on August 18, 2014 by Charlotte Williams.